Google is having its developers conference this week, and the company showed off new tech. Should Apple take notice? We also feature your comments and questions. Google is having its developers conference this week, and the company showed off new tech. Should Apple take notice? 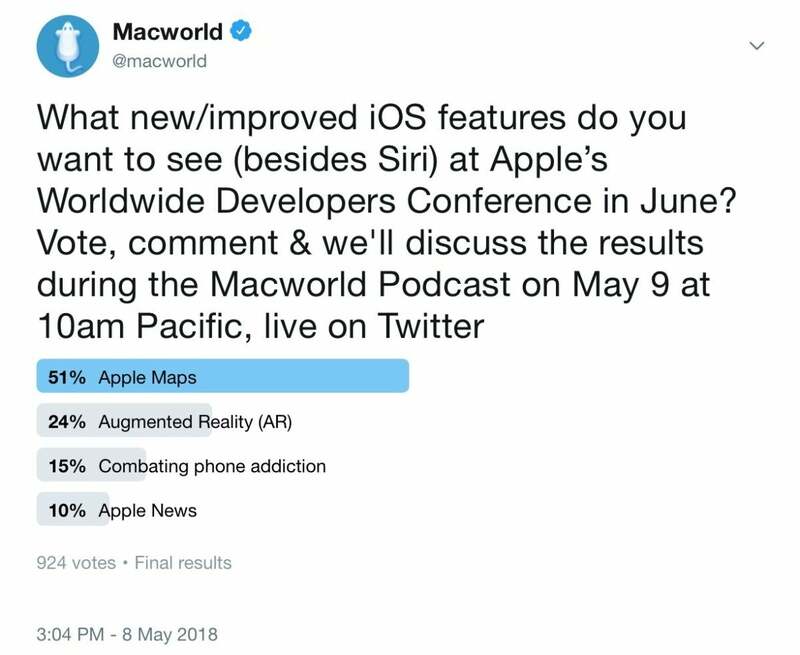 We also talk about various other Apple news and feature your comments and questions for Leif Johnson, Roman Loyola, Dan Masaoka, and Michael Simon in the Macworld Podcast, episode 604. In light of what happened at Google I/O, here’s our poll question. What new/improved iOS features (besides Siri) do you want to see at Apple’s Worldwide Developers Conference in June? Here are the results of our Twitter poll.